Miche Designs is offering this keyhole sleeveless top PDF pattern for your American Girl® Doll. The pattern is designed to use a variety of fabrics, such as knits or wovens. Sewing a zig zag seam is an optional way to finish seams, but not necessary to make the t-shirt. 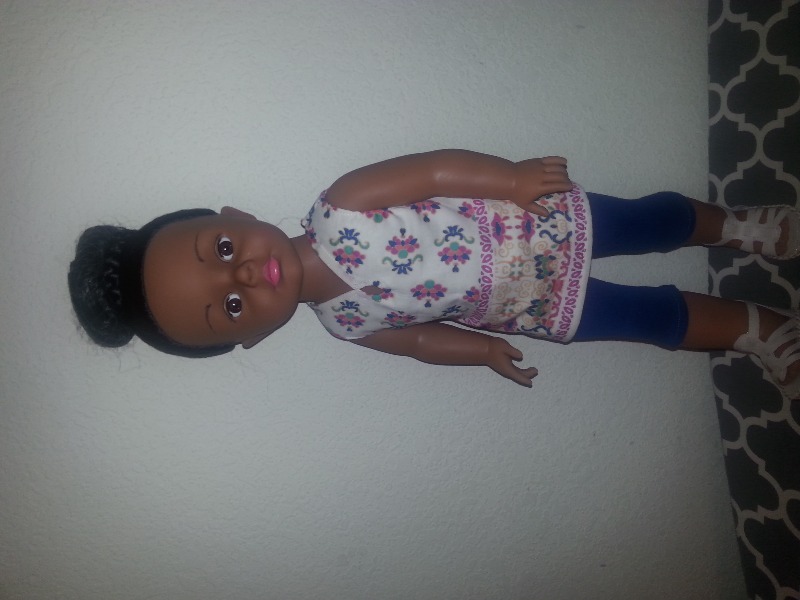 I absolutely loved making this top for my 18" doll, the directions werw easy to follow and pictures helped az well. I love this top, one of the few I have found for woven fabrics, not just knit. One change I made to make it easier was using bias tape for the armholes and hem, this also added a little flair! This top turned out great! I changed it a bit by lining the whole top, not just the front. I only did that because I dislike folding over and sewing armholes and neck edges :) I will definitely be using this pattern again! Thanks Miche Designs!